What do we have in this chapter 1 part 5? // Create a new socket to make a client connection. // Make a connection to the server with socket SendingSocket. printf("Client: Well, there is something wrong with the shutdown(). // describe socket closure later in the chapter. // When your application is finished handling the connection, call WSACleanup. 8. Build and run the program. The following screenshot shows a sample expected output if there is no error during the build and run stages. The 10061 error code indicates that there is no listening socket for the given IP address and port number. We need to run the server/receiver first. 1. In this test, firstly run the server program and you may also want to run the netstat program. 2. 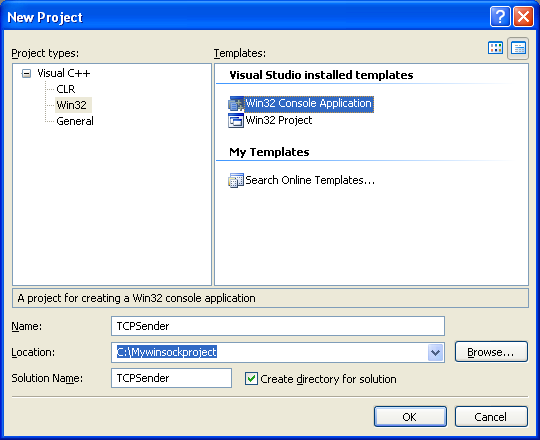 Then, run the client program several times (make sure before the timeout occur. However you can increase the timeout values in the program if needed). 3. The previous server sample output is shown below with the client was run two times. In this test we are using different hosts in a private network. The receiver IP address is 192.168.1.1 and the sender is 192.168.1.1. 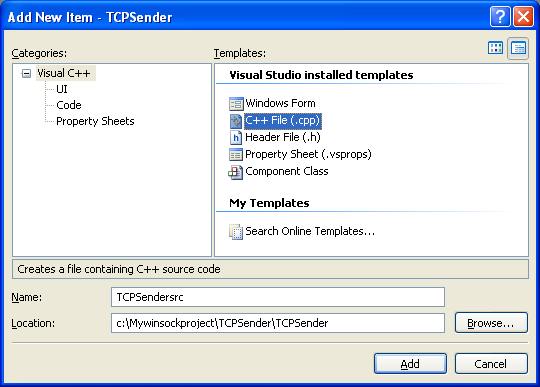 We change those address in the sender program and then rebuild it. The receiver is listening on all interfaces. 1. Firstly, we run the server program. 2. Then, we run the sender program two times. 3. The following first screenshot show the receiver sample output and the second is the sender.